If you are not yet ready to say, "Enough!" and go home there are two options for Saturday. 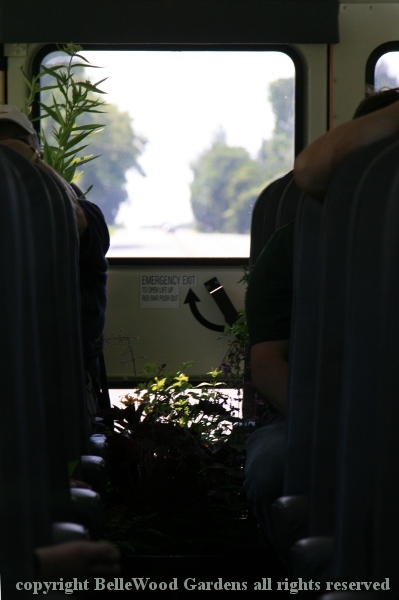 One is a field trip to a habitat restoration site. The other is a shopping trip to two nurseries and Ladew Gardens in Maryland. A baker's dozen of us opted for the shopping trip. 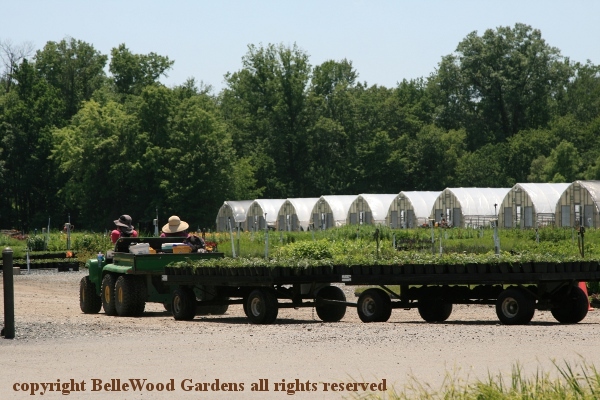 First Kollar Nursery, then Ladew Gardens, and now we are here at Cavano's Perennials Nursery in Kingsville, Maryland. down the right hand row, and a second, left hand row. 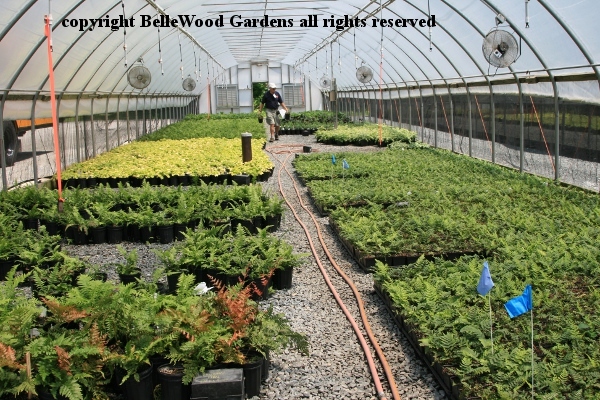 This is a huge - 30 acres under cover - wholesale only nursery selling about a million plants a year. And I don't mean little plugs. 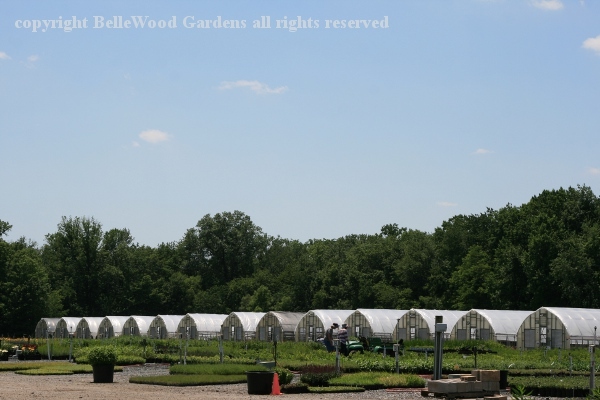 Cavano's specializes in growing over 700 plant choices, all containerized - including a large assortment of native and sustainable herbaceous perennials, ferns and grasses. 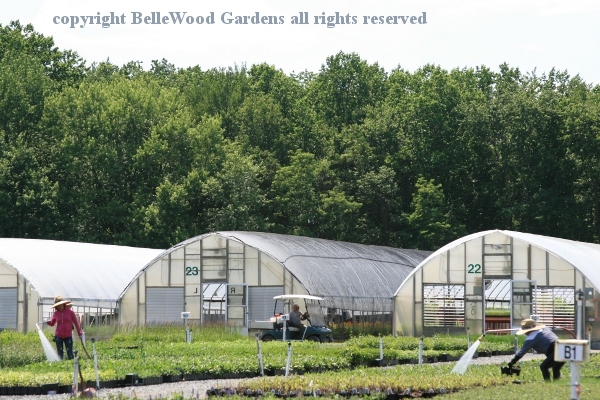 Their trucks deliver to garden centers, nurseries, landscape contractors, and re-wholesalers in the mid-Atlantic region from Maryland to New England. They are working with the University of Maryland on their pollinator and beneficial insect project. 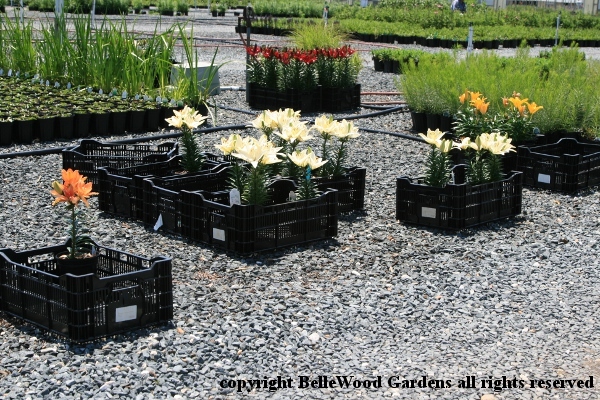 And while not one of the vendors at the Millersville Native Plants in the Landscape plant sale Cavano's is a premier level sponsor of the conference. handed a multi-page list specifically of native plants they offer. 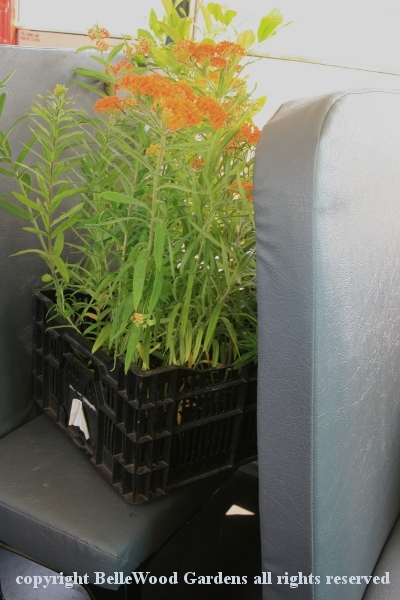 Numerous options and possibilities to shop for native plants. pulling orders for wholesale customers. 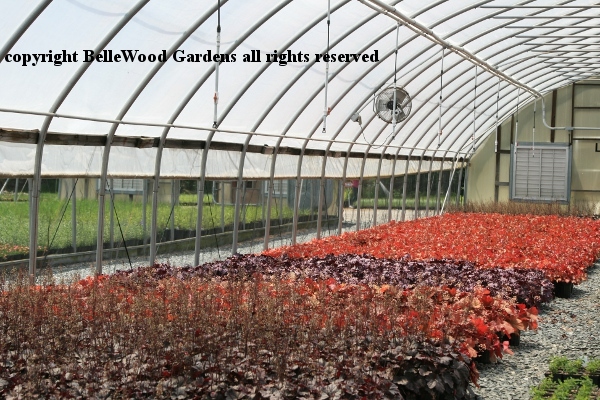 (such as these heuchera cultivars) to landscapers and retailers. clean and tidy. Saturday end of day weekend watering. 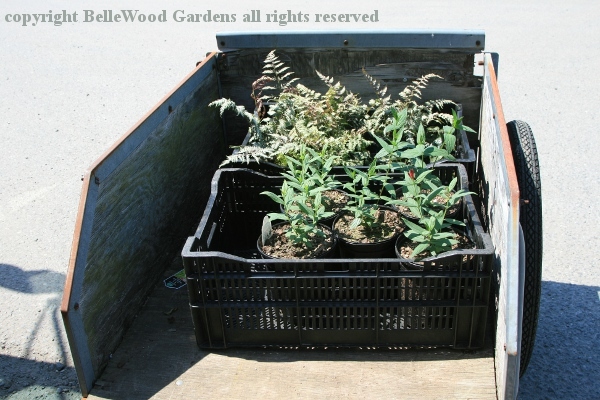 As we were graciously allowed to buy at wholesale prices it quickly became clear that honest horticultural lust meant sturdy crates and garden carts were needed. crates were stuffed in the aisle at the back. why, some crates occupied empty ones. to my car, and start on the long drive home. It's been great!